I'm finally back for a Mani-Monday, and I have to tell you, I've missed these posts. I've been doing my nails all along, but I haven't found much time to sit in front of the computer during this gorgeous Alaskan Summer! Today I am sharing 5 of my favorite Summer Manicures I've done so far. I love the colors and the tropical feel to this ImPress Manicure. I love ImPress mani's especially when I feel like I don't have the time to sit down and do my nails. 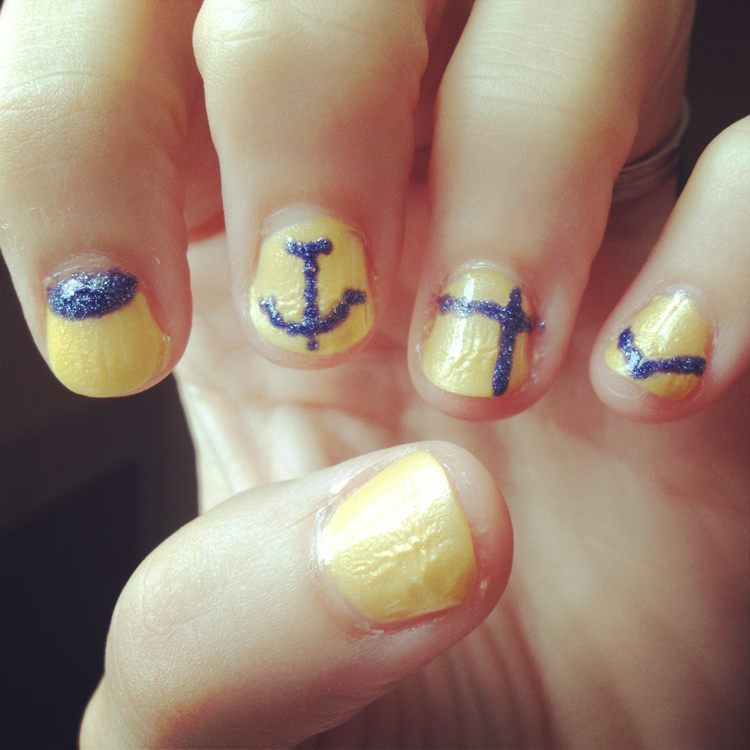 I haven't attempted any nail art for a while, so this Nautical nail theme is far from perfect. I do really like the colors together. These are both Julep colors from the California Coast collection. 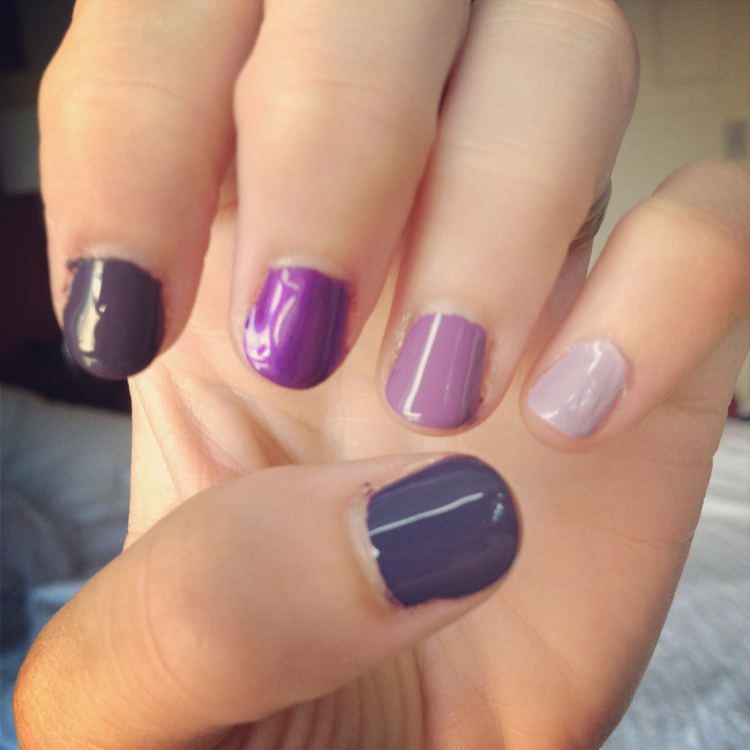 I rocked an ombre purple manicure a couple of weeks ago. This was fun - I look forward to trying to put together a blue and a pink tone ombre manicure soon. I have enough polish to do this! Haha. This is by far one of my most favorite mani's I've done as of lately. It features one of my favorite Julep colors: Shenae, a shimmery mint color with a bit of gradient Zelda over the top. Finally, this is my current mani, a really glossy coral called "Orange You Jealous" by Loreal. It is the only Loreal polish I own, and I just couldn't resist this gorgeous Summer color! How are you dressing your nails this summer? Pretty summer nails! I love tall he colors as too! Enjoy your evening! I love the flowers and the Orange color! I got that last box from Julep and it's still sitting in the box...unwrapped. LOL I didn't like any of the colors and thought it was more Fallish than Summer.